Buy this product and earn up to 1680 Reward Points. 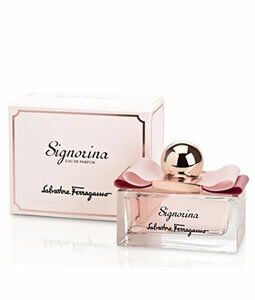 A new fragrance creation to celebrate of chic young women with the elegant and all Italian style by Salvatore Ferragamo. The alliance of grace and memorability. A modern floral bouquet. the reinterpretation of the iconic elegance of jasmine with the unexpected and delicate sweetness of pannacotta. The perfectly sophisticated yet chic scent signature for A la page young women.